Although I love a good luxurious skincare product, what my skin often cries out for is a simple, basic product that isn't going to clog up my pores but actually cleanse them. 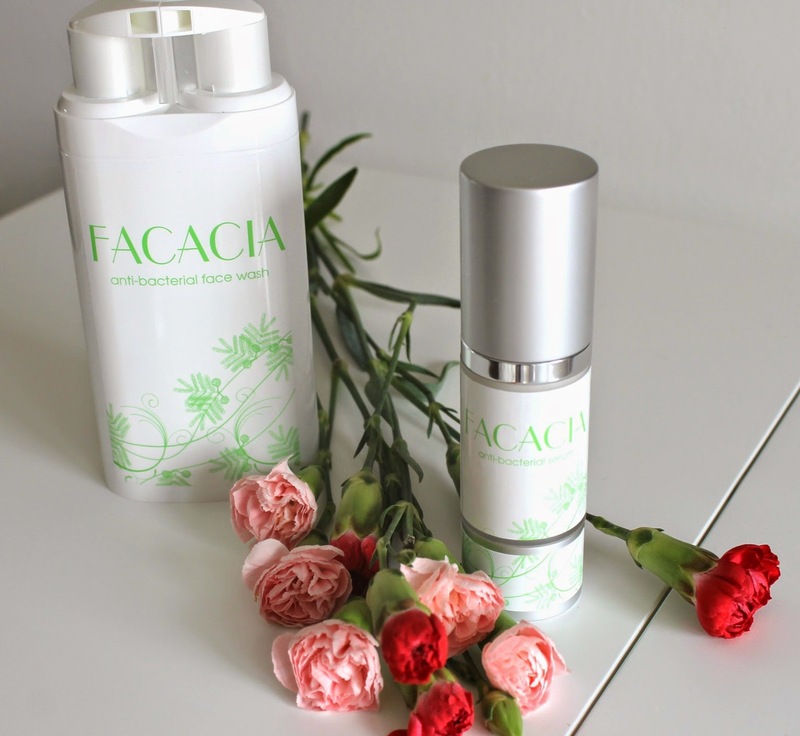 The Facacia skincare range is the perfect spot fighting duo, it features an anti-bacterial face wash and anti-bacterial serum, both designed to be used together and fight off the bacteria that causes those spots. This week I have broken out in spots all over my skin and I'm talking those that are deep under the skin and painful too, so this couldn't be a better time for me try this duo out. 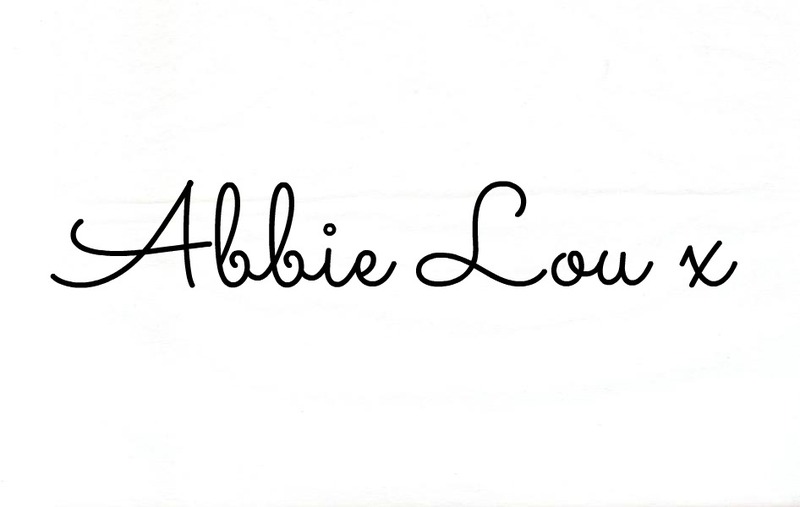 I have been lucky enough to test the product out before the launch and let you all know about it first; this is a first impressions review, however once I've trialed the product enough to gain a true opinion, I will review this again. 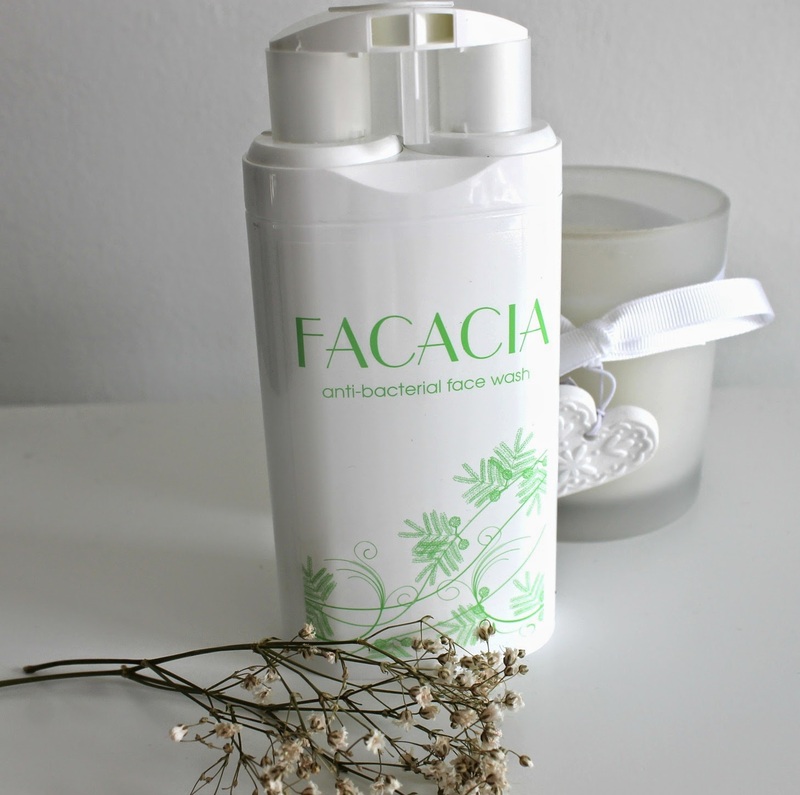 'Facacia is an ultra effective anti-bacterial face wash designed to kill the bacteria that causes skin blemishes. This uniqe duo-foamer is a combined cleanser and toner formulated to clean pores and reduce excess oil. 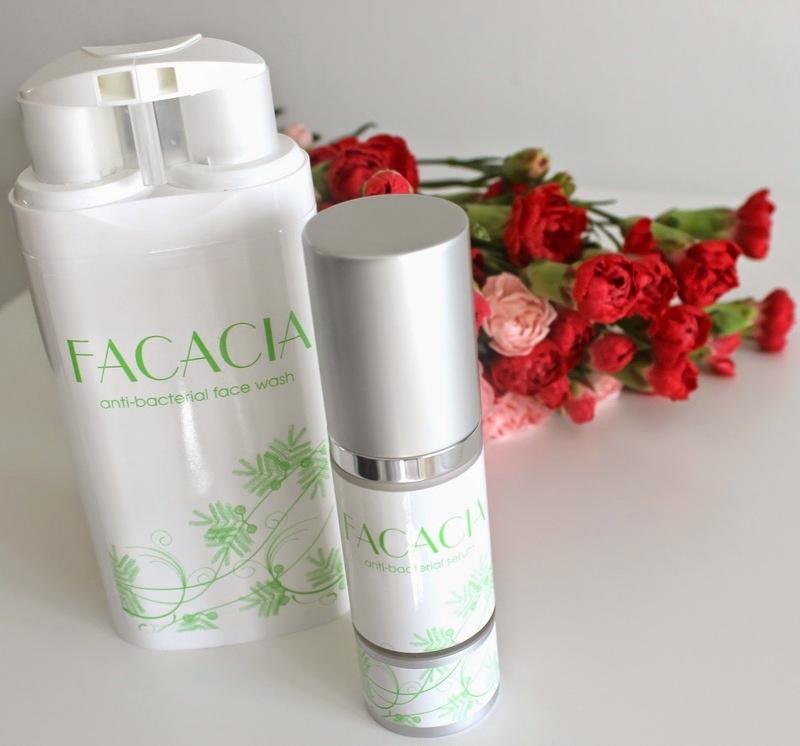 Facacia is enhanced with Acacia extract which is known for it's antioxidant properties. It has been dermatologically tested and is un-fragranced making it safe and kind for all skin types. Use before applying make-up and after its been removed. 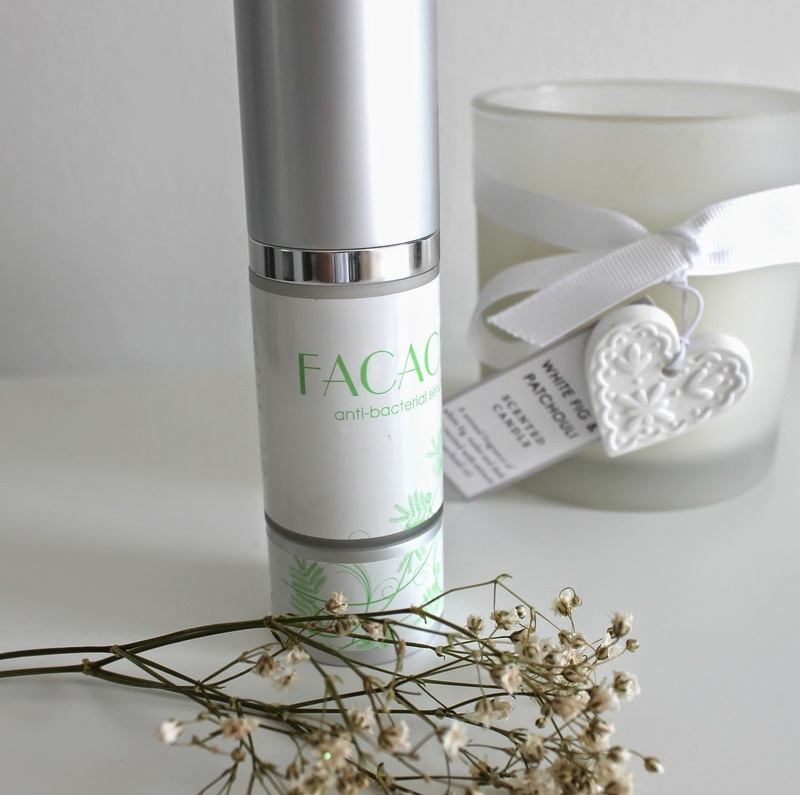 Then to complete your daily skin regime use Facacia Anti-Bacterial Serum. My first impressions of this face wash are great, it dispenses easily and just one pump of this foam is enough to cover the entire face. 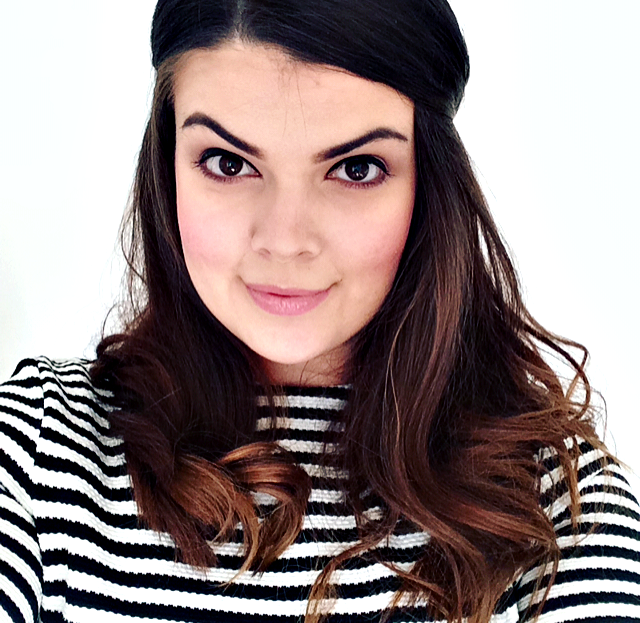 Whilst waiting the minute suggested before rinsing off, I noticed that my spots started to sting a little but not in a bad way, it actually felt like the product was working straight away, which really surprised me as the product is really gentle. After rinsing the product off and patting my face dry with a clean towel, I noticed that my skin felt really clean, soft and for someone with really oily skin, my skin actually felt oil free which is perfect for applying makeup on. 'Facacia Anti-Bacterial serum is enriched with Vitamins A, B, B5 and E to moisturise and protect the skin after washing. Facacia soothes and calms skin whilst it's residual anti-bacterial properties help to prevent further blemishes. It is enhanced with Acacia extract which is known for its anti-oxidant properties. Facacia is a gentle, unfragranced formula and is safe and kind for all skin types. Again, the pump dispenses enough product to cover the entire face, this fragrance free serum is really light on the skin and made my skin feel super soft, it sunk in quickly without leaving any residue and left my skin feeling really calm and soothed, which, after a day of aching, sore spots, was exactly what my skin needed. I like that although these are medical products, the packaging doesn't reflect that, although it features quite a simple design, it still looks pretty and sleek, something that I 'm quite happy displaying with the rest of my beauty products on my shelf. 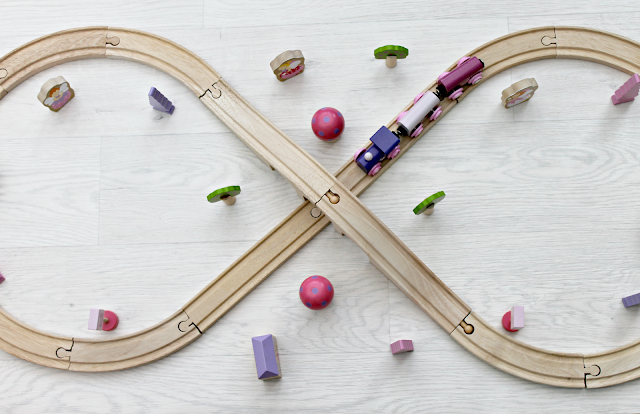 What I love most about the Facacia skincare system is the simplicity of it, it's so quick and easy to use meaning there's no excuses in a morning not to use it! Do you need to tackle those blemishes too? Would you try this?